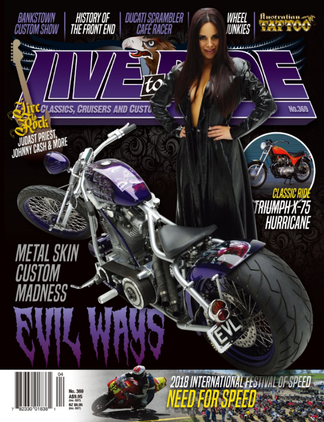 Live to Ride Magazine is a lifestyle motorcycle magazine encompassing all facets of bikes from cruisers to customs and classics. Each month we review the latest products available along with featuring technical articles and test bike reviews as well as travelling Australia covering all the best events and shows. Also featured each month is the latest in tattoos and rock and roll completing the diversity of the title.